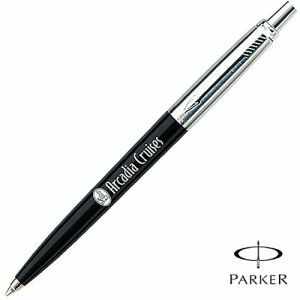 Promotional BiC Grip Roller Pen that features a textured black rubber grip, nickel plated clip with extra smooth and precise writing and fast drying ink. 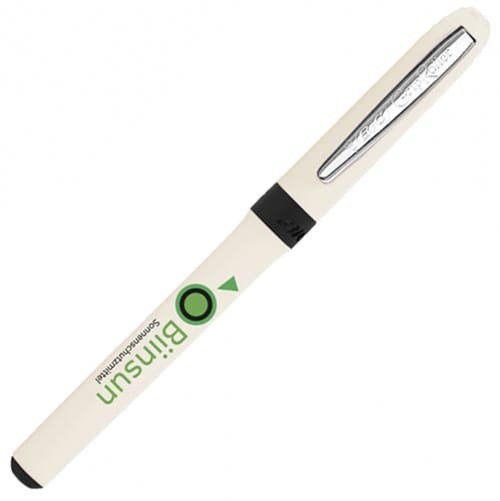 A great value pen from a well known established brand at an affordable price. 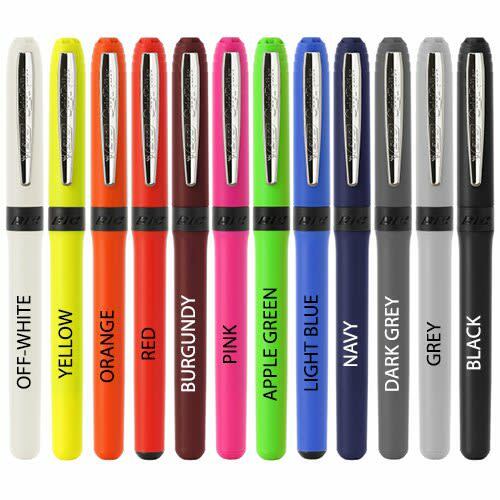 Writes in black or blue ink. 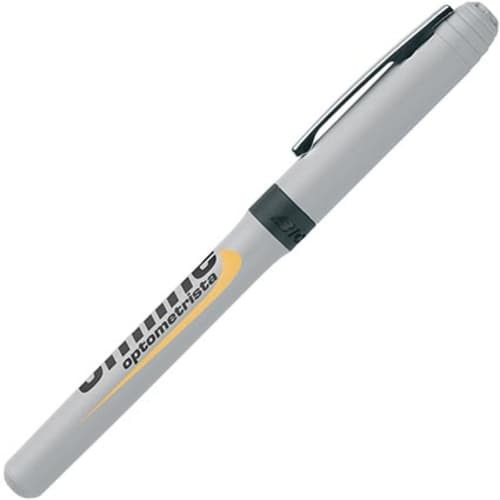 For our Black/Gold BiC Grip Roller please click here. 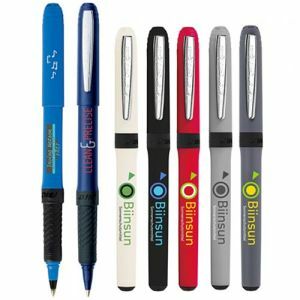 The branded Bic Grip Rollerball Pen is the perfect choice if you want to have a practical, premium quality, but low cost promotional item. 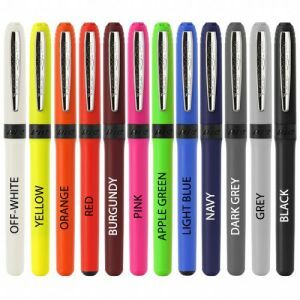 Available in a variety of colours and printed with your company logo or slogan in up to three colours to make an impact in the office, workplace or at home. A constant reminder for staff, clients and suppliers alike with the well-known BiC brand, complete with practical fast-drying blue or black ink. 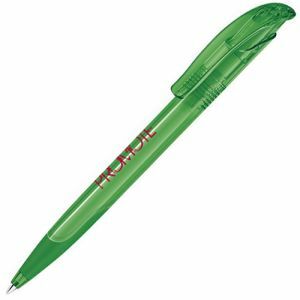 The custom Bic Grip Roller is a fabulous giveaway at an affordable price, with a smooth handle and smart finish that will clinch the deal! 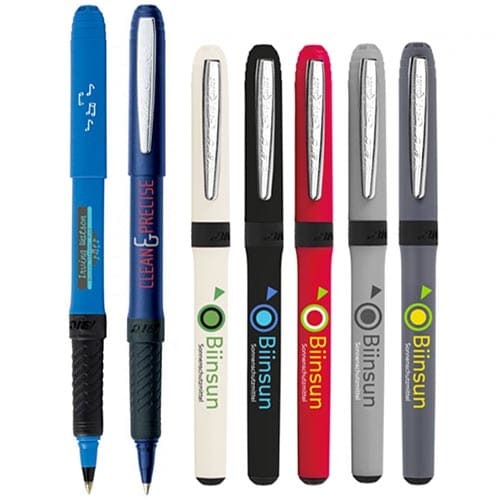 Everyone recognises the BiC brand so you instantly know you're dealing with a product that is trustworthy and reliable. 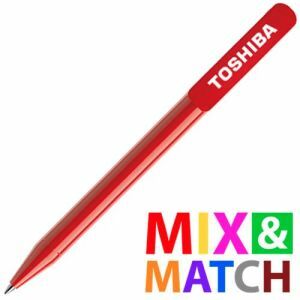 It offers just that something extra than a standard printed ballpen and the textured grip makes for a comfortable writing experience.